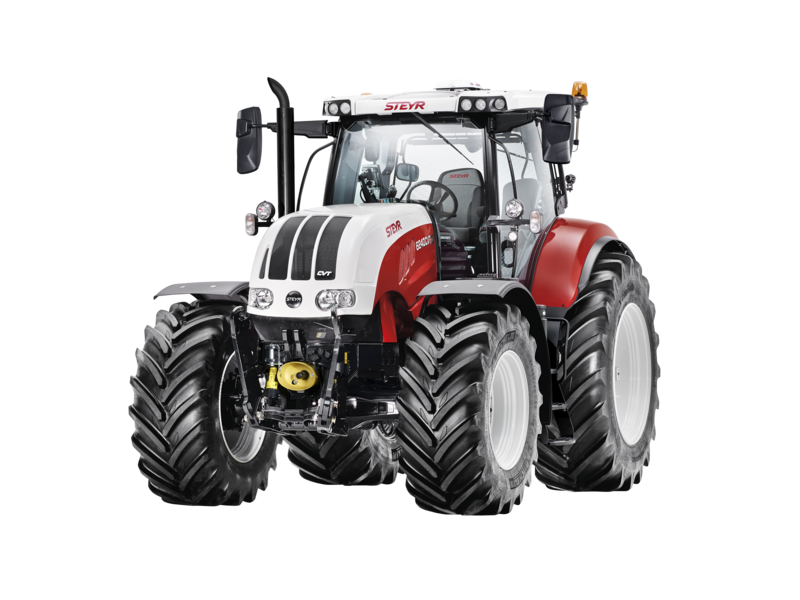 By virtue of the continuously variable transmission and numerous technical innovations, the new generation of our CVT tractors offers even greater working and operating convenience, increased profitability and improved productivity. There is a total of seven models with a power range of between 150 and 270 hp available. Outstanding gearbox construction ensures excellent performance and provides the range with its name: CVT stands for Continuously Variable Transmission and describes a gearbox with infinitely variable ratios. Low noise emission level of 69 dB(A) to take the stress out of working, and for using the telephone. S-TRONIC for automatic control of the driving strategy. Continuously variable transmission with ultimate mechanical efficiency rating. 50 km/h achieved at a fuel-efficient 1,550 rpm. Active stationary control for stopping on a steep slope without a brake. 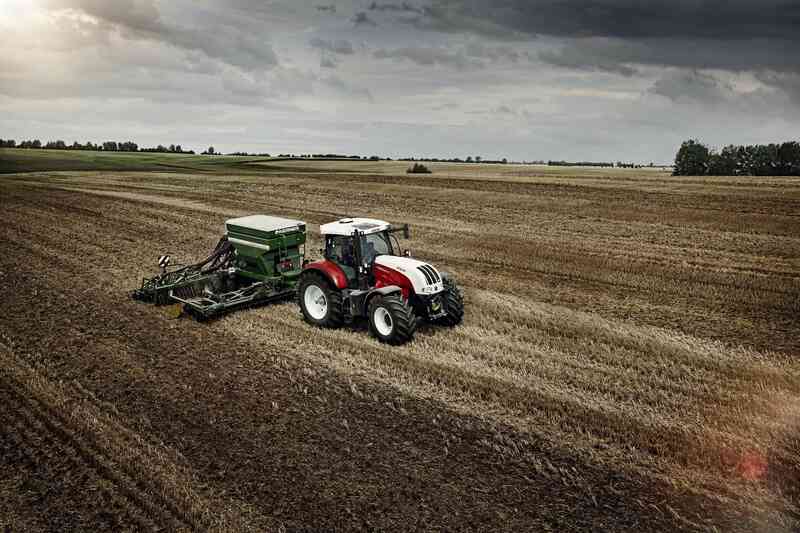 Up to 4 PTO speeds with Power mode or the fuel-efficient shaft speeds of the Eco mode. Maximum lift capacity of up to 10,463 kg at the rear and 3,785 kg at the front. Intelligent anti-lock braking system with many additional functions. CVT supports ISOBUS II and the latest ISOBUS III technology. S-TECH Precision farming - always just ahead of the pack with S-Guide and S-Turn II. QuickTurn II full wheel deflection with minimum steering effort. 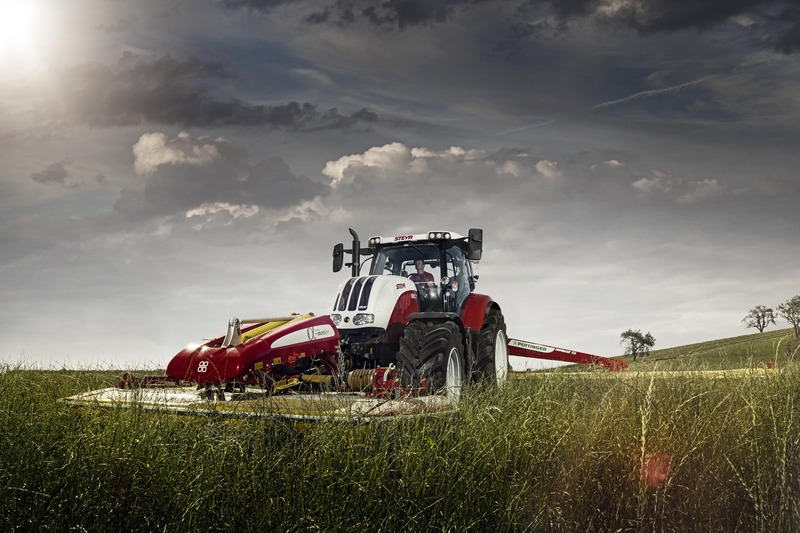 Regardless whether it's arable farming, pasture land, transport or industry: with its continuously variable transmission and numerous technical innovations, our CVT tractors deliver the highest standards of working and operating comfort, excellent cost-effectiveness and performance capability. The CVT cab offers a working area you can rely upon fully in all situations: A low noise level of only 69 dB(A), ergonomic seating and steering wheel adjustments, finely adjustable air conditioning and our sophisticated suspension and lighting system assure maximum comfort. With its 4-pillar panorama cab with its large windows, its high-visibility roof window and a one piece front windscreen, you have perfect and unrestricted all-round visibility. The LED work light package assures superlative visibility even after night has fallen. The electronically controlled diesel engines effortlessly take care of all power work even at low engine speeds. The CVT range today covers a rated power range of 150 to 240 hp. The main working area of the engine, between 1,500 and 1,900 rpm is always able, thanks to PowerPlus, to deliver an extra up to 45 hp of additional power at all times. 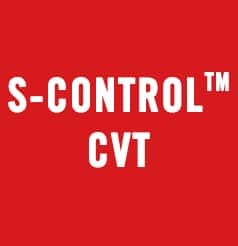 Everything always runs smoothly with the continuously variable S-ControlTM+- CVT-transmission (Continuously Variable Transmission). An intelligent interplay of hydraulic and mechanical components assures economy, without having to compromise on power delivery. The continuously variable ratio enables you to tackle every conceivable task effortlessly. The PTO transmits the full power of the engine with maximum efficiency because the entire driveline is tapped from the face end of the crankshaft. The standard speed of 1,000 rpm is already reached at a low engine speed of 1,890 rpm. 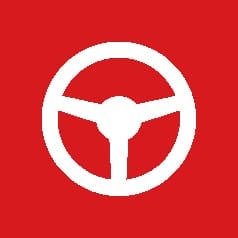 That means you not only save fuel, but also protect the engine and the environment. The load sensing hydraulic system in the CVT is based on a variable displacement pump with a flow rate of up to 173 l/min. Up to 8 independent consumers can be supplied with oil at the same time. The displacement volume and duration can be adjusted individually for each consumer. This guarantees excellent response from all of the consumers. 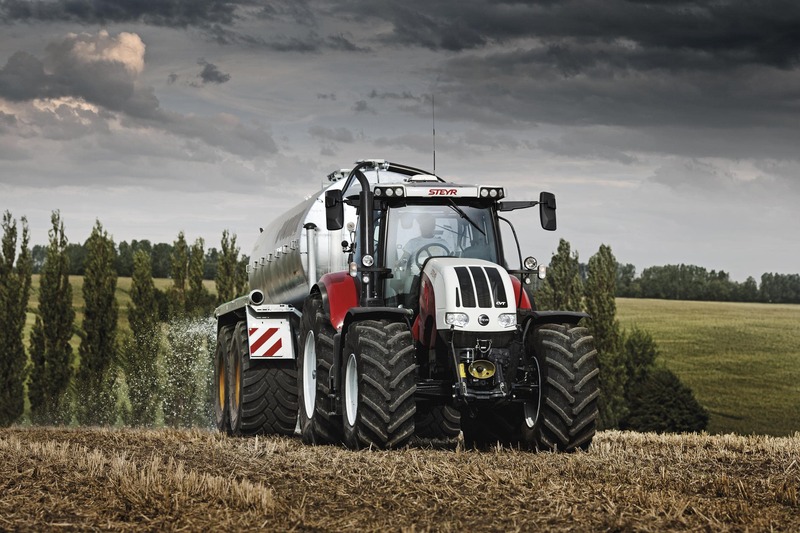 CVT: The modern way of driving a tractor. All models are fitted with wet dual disk brakes (4 disk brakes on the rear axle). Specifically in heavy-duty transport, these HD brake discs, being more resistant to wear, deliver a longer service life. The perfect interplay of all components ensures a unique new-generation driver experience. The automatic, DGPS-based steering system S-Guide works to the highest standards of precision with a repeatable accuracy level down to 2.5 cm (RTK+). This not only assures parallel track guidance but, with S-Turn II, is able to turn automatically at the end of a wayline. Also, if headland boundaries are entered accurately, the tractor can also process these areas perfectly. Therefore, even when terrain conditions are tough and visibility is poor, there is no risk of overlaps or gaps. With the standard xFill technology available as standard in all RTK+ solutions, signal losses lasting up to 20 minutes can be bridged. There are many different versions of S-TECH with different levels of precision - from the simple retrofit solution with GPS-based EZ-Pilot through to the integrated fully rigged version with a S-TECH 700 touchscreen monitor. This system enables you to call up real-time operation data from your machine via the mobile phone network. This enables machine fleet managers to stay in touch with their machines and drivers and send and receive real-time data. This increases productivity and facilitates optimum fleet organisation.